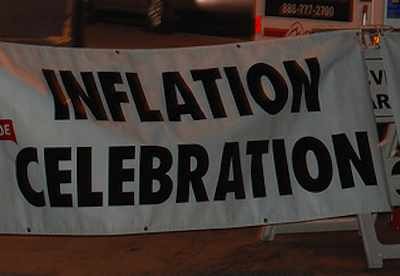 One of the issues that is starting to come to light is that of food price inflation. Food prices are on the rise as droughts in Russia, floods in Australia and concerns about Egypt affect the global commodities market. In the U.S., monetary policy isn’t focusing much on the issue of food inflation, since the Fed looks at “core” inflation — which excludes food prices (and gas prices). As a result, consumers are unlikely to get any sort of monetary policy support when it comes to food. The USDA expects food prices to rise in 2011, and we could see increased prices even further down the road. Corn: Corn prices are on the rise, and that means that you might want to be prepared. Canned corn can last years on a shelf, and that can help you protect yourself. Dried corn can last more than 10 years properly dried and stored. Other Canned Vegetables: Consider other canned vegetables, like peas, carrots and green beans. These will last years on the shelf, and you can dry fresh varieties (onions, carrots and peas especially) to last even longer. Kidney Beans: Stock up on kidney beans. You can get canned beans to last for years. However, if you store dried beans properly, the shelf life can be 20 years or more. These can be used in chili and other dishes. Other dried beans (great northern, navy, etc.) can be stored similarly. Wheat: Wheat is another of those things that can be stored for more than a decade, as long as it is properly stored. You can get a grinder to create your own flour as needed, and wheat can be used in other ways. Wheat prices are on the rise, and buying now, in bulk, can be advantageous. All Purpose Flour: Flour prices are expected to rise as well. Flour, stored in its original packaging, can be good for up to a year. Stored in an airtight container, in a cool, dry location, and it can last more than 10 years. Dehydrated Fruit: Many dried fruits, when properly dehydrated and stored, can lost as many as five years. Apples and bananas can last even longer. While fruit prices haven’t been rising as fast as meat and eggs, produce is starting to gain. Canned Fruit: You can also get canned fruit that will last three years or more. Pears, peaches, and other fruits can be saved. Buy now, perhaps during a case lot sale at the grocery, and you could be well stocked. Preparing for the future is always a good idea. Building up your home food storage can be a good way to reduce the impacts of food inflation. Do you have a preferred food that you will stock up on in the next year? Everyone should put in their store shelves, since they will most likely not contain meat for protein – HEMP SEEDS. Hemp is one of the super foods on this planet and has tremendous amounts of protein, fiber, Omega 3-6-9 and GLA. It also has 22 essential amino acids for your body. Because of It’s demonized cousin plant, MOST people, doctors and even nutritionists are not aware of It’s super nutritional content. Google it. My favorite brand, because it is organic and NON-GMO is Manitoba Harvest. You can check their website or many other vendor’s websites for their products.